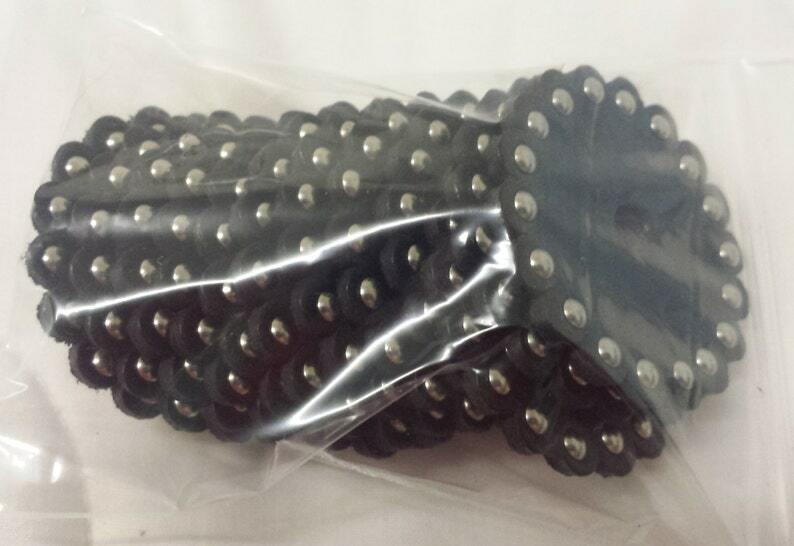 You are purchasing a package of 12, 1 7/8" studded leather rosette. Made of high grade, 5-6 oz black leather. As the examples pictured show, these fit 1 1/4" and 1 1/2 " conchos perfectly. Please message me if interested in larger bulk quantity of these rosettes.